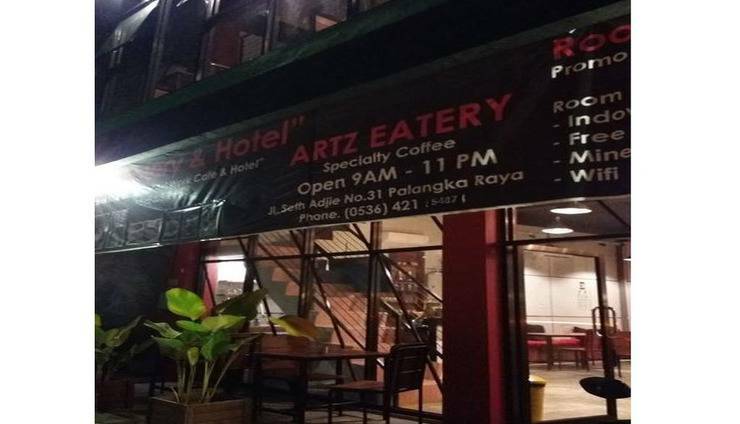 Sebuah Hotel yang Nyaman di Palangkaraya. "Kamar bau rokok walaupun request non smoking room. Tv kabel bbrp chanel ok. Overall ok lah utk b..."
Paling saya mau kasih masukkan sedikit : 1. Utk kamar pertama yg saya pakai air panas nya kurang (103) 2. Suara musik mungkin bisa dikecilkan pada saat memasuki adzan maghrib & isya, utk memberikan kesempatan bagi yg muslim utk menjalankan sholat. untuk keseluruhannya sudah ok, salahsatu favorite hotel. 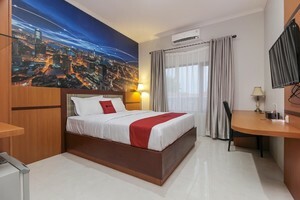 Sebuah hotel minimalis yang eksklusif.. Berada di tengah kota palangkaraya dengan konsep industrial design.. Pelayanan yang ramah dan service prima membuat sangat nyaman di hotel minimalis ini.. Berada di pusat kota membuat mudah dalam mengakses spot2 wisata di kota palangkaraya.. Secara garis besar hotel ini dapat dikatakan sebuah hotel minimalis yang nyaman dengan harga yang kompetitif..
Mungkin lebih bagus bila setiap hari kamar di lakukan pembersihan, dan penambahan air mineral setiap hari, serta penunjuk kiblat untuk memudahkan tamu muslim untuk menjalankan ibadah. Kalau bs di tambah fasilitas antar jemput mungkin lebih baik. 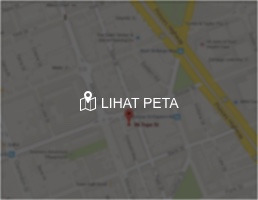 First time when my guest say this hotel name, i never hear the name in this street (Seth Adji). When i try look the room, owww, clean and cozy if just for sleep is good good choice and budget. 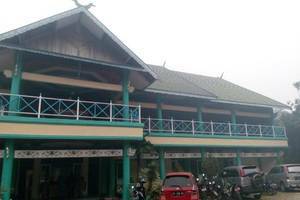 Strategic area, just 5-10 minute to airport by car, many warung near hotel, so easy to find food. Rarely i see hotel decoration like this, inspirative. 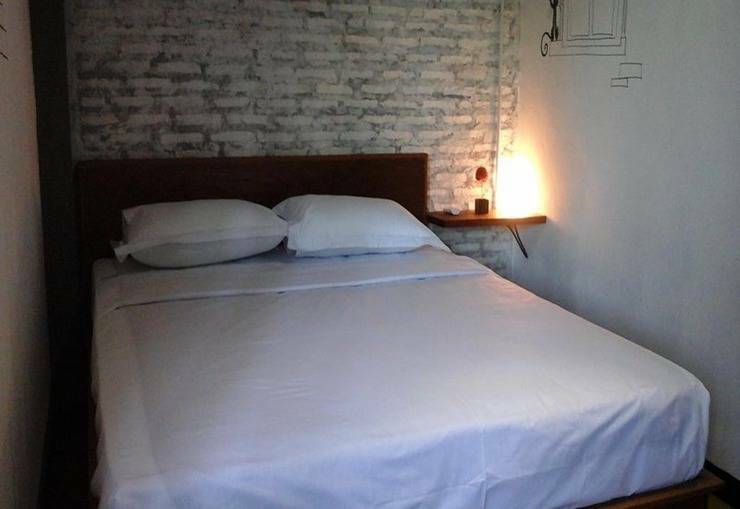 If you're looking a budget hotel, this one is the best place for it. Best price, good food and friendly hospitality. 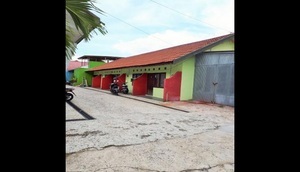 Not too far from downtown of Palangka Raya, but near to Tjilik Riwut airport. And they also have good cafe with nice menu. Budget hotels that puts down 3-star hotel!! Don't look juts by the cover. It's HIGHLY RECOMMENDED for small business traveler in 1-2 days trip. Very much impressed, the staff is helpful you can even RENT their motorcycle just for city ride. What is amazing is that the room is SPACIOUSfor 1 or two person, also the BATHROOM IS VERY BIG. Hot & cold water, wash bidet, and surprisingly including A COMPLETE BATH AMENITIES in chic package (toothbrush, paste, comb, shampoo, and soap). and what knocks down any 3-star hotels out there: they give you A LOT OF SNACKS AND MINERAL WATER FOR FREE. despite it only a snack you can buy on groceries but still a surprise!! Came through this hotel via trip app/airy's. Generally good hotel to spend a night or two. Likes: - great parking space - satellite tv cable on room - airy's complementaries are good - bathroom design is good - Qiblat direction is available on desk Dislikes: - breakfast ready on 7 am. Others usually on 6 am - wall and floor designed to be artistic but it could be better with wallpaper and ceramic tiles. - due floor design, air conditioner can't cool the room to desired temperature. - warer pipes aren't buried onto duct wall, so sound of water flow is crystal clear on my ears - bathroom tiles are slippery and drainage is frustrating.